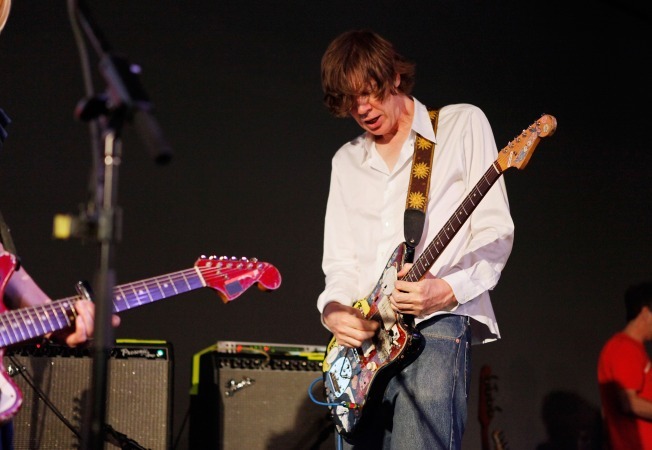 Sonic Youth singer/guitarist Thurston Moore, better known as East Village rock’s Dorian Gray (seriously, match up Dirty-era photos to the above), is prepping the release of his third solo album, Benediction. And he recruited a little help in the form of another eccentric soul and knob-fiddler, Beck. No release date has been announced for Benediction, but Moore certainly has enough to keep himself occupied at the moment. He’s been playing around town lately with Northampton Wools, his experimental electric guitar duo with Bill Nace, and Sonic Youth is performing in London on New Year’s Eve. Paste magazine has been kind enough to dredge up a 1994 video of Moore interviewing Beck. Important takeaway of conversation: Beck had some serious Backstreet Boys hair.